Is Sophia your real name? No, it is a nom de plume, which I currently choose to write under. Why write under an assumed name? I decided early on that I wanted to maintain some level of privacy, because one never knows where life will take you. I correspond with fellow bloggers that I interact with on specific projects with under my real name, because I feel like I have a little bit more of a relationship with those people. My real name is actually kind of a common blogger name, I feel like "Sophia" is different and fun and reflects my Chic and Charming persona. As Sophia some of my opinions are a little more extreme than they maybe in real life, but I find hyperbole almost always increases entertainment value, especially in storytellings. Why did you pick Sophia? 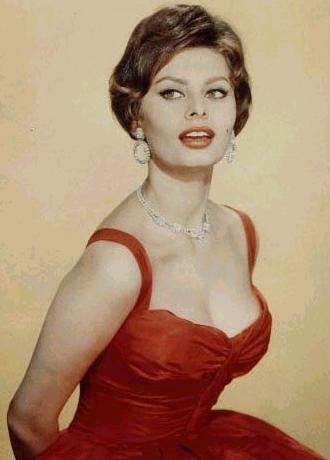 Sophia was inspired by Sophia Loren. I admire the fact that she is feisty, has curves and was able to turn down Cary Grant. My favorite Sophia Loren quote is "Everything you see I owe to spaghetti.” My sister, the major source of gadget guru, writes under the nom de plume Marilyn, after Marilyn Monroe. Very interesting! I love Sophia too.